File this warning under “unless it’s absolutely necessary.” If you use iCloud Photo Library on your Mac, don’t sign out from iCloud. Also, don’t deselect the iCloud Photo Library checkbox in either the Photos options of the iCloud pane of System Preferences or in the iCloud preferences in Photos itself. Why not? Because, when you re-enable iCloud or iCloud Photo Library, Photos will re-upload all your photos, which could take days. (It’s not really re-uploading all of them, but even just resyncing will take a long time.) Worse, if you don’t have enough space in iCloud for your entire Photos library again, you’ll have to upgrade to a larger plan temporarily, resync, and then downgrade to your previous plan. Apple will refund you the cost of the upgrade, but you’ll have to work with support to get reimbursed. Read more at TidBITS. Here’s one for those who use Apple’s Notes app for storing bits of information. By default, Notes in macOS gives you a single window, with each note listed in a sidebar. But what if you want to see two notes at once? Or keep one always available no matter what else you’re doing? Select the desired notes in the sidebar by Command-clicking them, and then choose Window > Float Selected Notes to open them in their own windows. Or, just double-click them in the sidebar! Then, to make sure one or more of those windows is never obscured by another app, make it active and then choose Window > Float on Top. It’s still a normal window that you can move and resize and close, but no other app will appear over it. See how Safari is the frontmost app below, but the Notes window is on top? Furniture rings. Let’s get this one out of the way. The HomePod can leave rings on oil-finished wood furniture because the silicone base can react with certain wooden surfaces. That has to be embarrassing for a company that prides itself on materials expertise like Apple. The solution is easy—just put something under it. Single user. Anyone in the room can give Siri commands, but when it comes to account-based connections, the HomePod is a single-user device. So if you set it up, which is astonishingly easy, it will connect to your Apple Music account, your iMessage account, your iCloud account for Reminders, and so on. That’s fine for you, but your family members won’t be able to access their Apple Music playlists, for instance. Speakerphone. The HomePod may be the best speakerphone you’ve ever used. 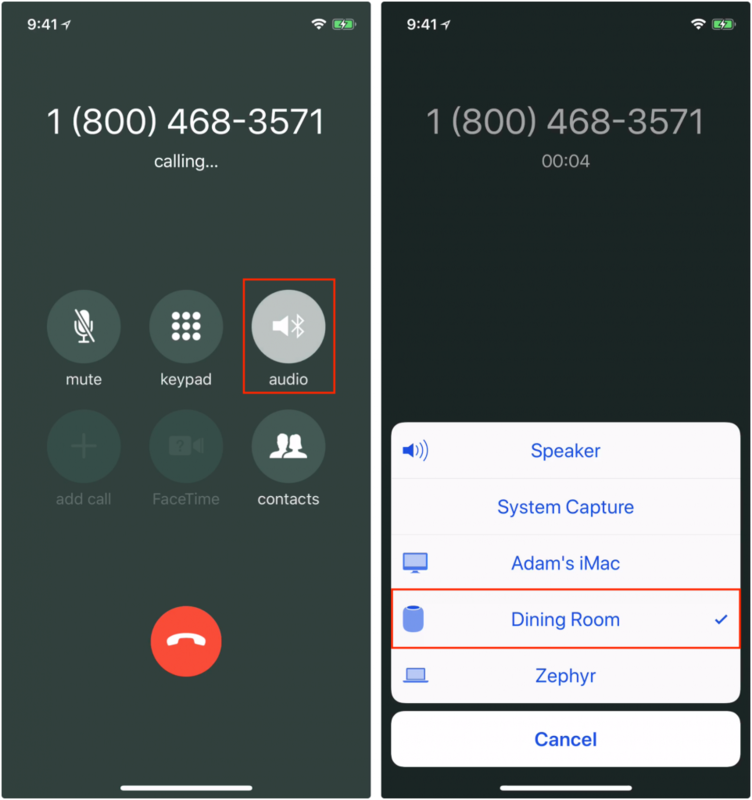 Alas, you can’t initiate a call on it, but once you start one on your iPhone, you can transfer the call by tapping the new Audio button that replaced the Speaker button in iOS 11.2.5 and selecting the HomePod. Apple Music. The HomePod can act as an AirPlay speaker, and can thus play audio from your other Apple devices. But when you control it via Siri, the music must come from Apple Music, your iTunes Store purchases, or be matched in your iCloud Music Library. To send Mac audio from apps other than iTunes to the HomePod, get Rogue Amoeba’s Airfoil. Audio power. It may be small, but the HomePod has plenty of power. At 6 feet, we measured the sound output at 100% volume at 80 decibels, which is louder than is comfortable. Volume control. Speaking of volume, you control it by percentages, as in “Hey Siri, set the volume to 15 percent.” You can also tap the + and – buttons on the top of the HomePod to adjust the volume in 5% increments. Electrical usage. The HomePod may be turned on all the time—it has no power switch—but it uses very little electricity. In our testing, it used 2.5 to 3 watts when it was idle but has been used recently, and 4 to 7 watts when playing. Leave it alone in a quiet room for a while, and its power usage drops to 0 watts with just an occasional 1.5-watt spike. Good listener. The HomePod hears your commands remarkably well, even when it’s playing music at a high volume. You shouldn’t have to shout at it. Hey Siri. If you’re within earshot of a HomePod and want to give Siri a command on your iPhone or Apple Watch, don’t say “Hey Siri” right away. Instead, to use your iPhone, unlock it first. Or, to use your Apple Watch, raise your wrist. Apple has an explanation of how Hey Siri works with multiple devices. Apple TV. You can play audio from your Apple TV through your HomePod. On the main screen of the Apple TV, press and hold the Play/Pause button on the Siri Remote, and then select the HomePod before playing a show. 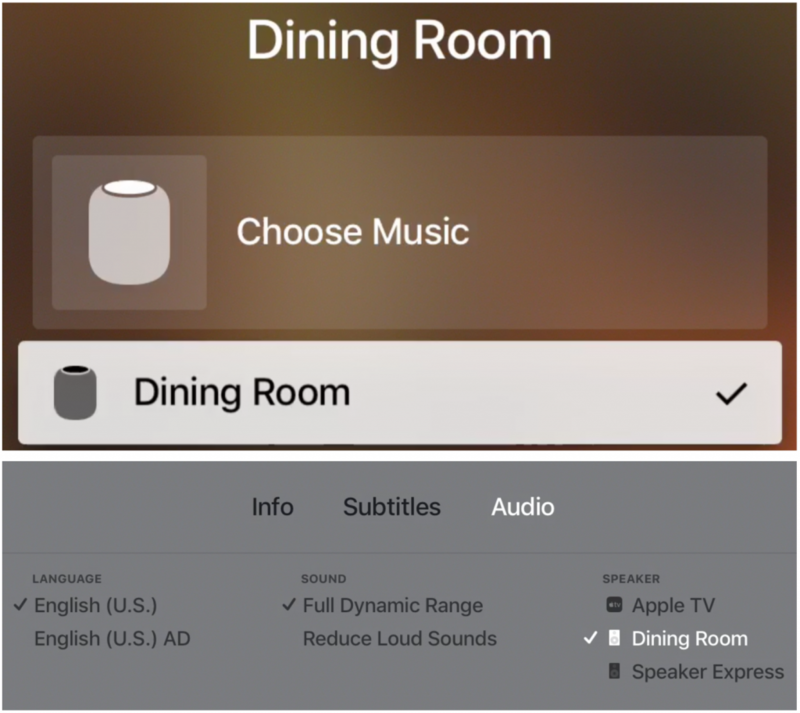 Or, while playing video, swipe down on the Siri Remote, swipe right to select Audio, and then select your HomePod in the Speaker list. Once you’ve transferred audio to the HomePod, you can use Hey Siri commands to pause and play the Apple TV content, change volume, and even rewind and fast-forward by a certain amount of time (“Hey Siri, rewind 10 seconds”). However, other things that Siri on the Apple TV can do, like tell you who stars in a movie, work only when you press and hold the Siri button on the Siri Remote. Much as the HomePod works well right now, it stands to improve in the coming year. Apple plans to release software updates that will enable two HomePods in the same room to provide true stereo sound, and that will let you control multiple HomePods simultaneously for multi-room audio. Snazzy shadowed text probably isn’t appropriate for your company’s annual report, but if you’re whipping up a flyer for a birthday party, you might want to jazz up the text. You can do that in most Mac apps that support macOS’s system-level Fonts palette. Select your text, and then bring up the Fonts palette. Generally speaking, such as in Pages and TextEdit, you do that by choosing Format > Font > Show Fonts, though the exact location may vary by app. Then click the shadowed T button toward the right of the toolbar, which activates the next four controls: Shadow Opacity, Shadow Blur, Shadow Offset, and Shadow Angle. Play with each slider and the rotating angle control until you have an effect you like.